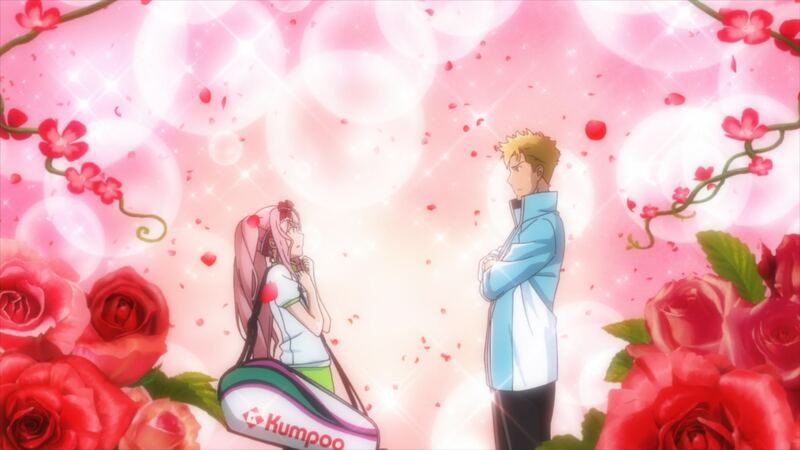 The third episode of Hanebado! marks the true beginning of the series – a fascinating clash of conflicting philosophies that also served as the major debut of a very exciting studio that gathered young creators you might be acquainted with. Let’s get messy in an interesting way! ─ Truth be told, I hadn’t planned to cover this episode. We set up this Production Highlights column precisely so that we could talk about the key points in TV shows that wouldn’t benefit from extended coverage; serialized anime is more often than not an exercise in compromising, so unless we’re dealing with exceptional projects, the result isn’t densely packed with outstanding bits to the point of requiring weekly analysis. And with the exception of series built around weekly vignettes, the most inspired TV anime tend to stick to a singular vision to boot, carried by production teams who have a very clear goal in mind and thus can be grasped more concisely. I believe that applies to Hanebado! as well – it’s obvious what the director wants out of the series, and he’s been able to convey it to a crew who’s succeeded in transforming the source material accordingly. However, that vision interacted in very curious ways with the source material and outsider artists for the third episode, so returning to it once again seems worth it. ─ Does that mean episode #3 was particularly good? Not necessarily, though I can personally say that it managed to sell me on the series for good. The first two episodes were an intense prologue that wasn’t even focused on the tale’s actual protagonist, although it served as a showcase of the solemnity and gravity the team want to imbue the whole show with. A bit exhausting for some people perhaps, but it had undeniable impact. Now that we’re finally dealing with Ayano’s story though, that grand, serious approach is backfiring in some amusing ways. We’ve got the arrival of Kaoruko, a pink-haired twintailed tornado with an appropriately ridiculous theme song whom I can only describe as anime as hell. And not only that, there’s also the reveal – even if it appears to be an obvious red-herring – that Ayano’s entire family trauma was caused by that ridiculous girl forcibly coughing in her face. It’s hard to keep a straight face while being told that, which is quite the contrast with the asphyxiating, entirely serious depiction of her crippling abandonment issues. Holy mood whiplash there. ─ Whether that clash between the vision of the anime staff and the reality of the source material compromises your enjoyment is of course up to each viewer. I know people often come to this site expecting some sort of definitive truth, but while we do base our work on production facts and a general knowledge of how the anime making process works, at the end of the day interpretation is up to the individual. Personally I find creators wrestling with the material they’re adapting to be inherently interesting, and Hanebado’s sincerity has already managed to win me over. Even if there were some silly developments that feel like they belonged better in the more lighthearted manga, the show always treats the feelings of the cast with respect – and in this case that doesn’t just mean Ayano’s, but also the complicated emotions Elena feels regarding the friend she envies but also cares about immensely. 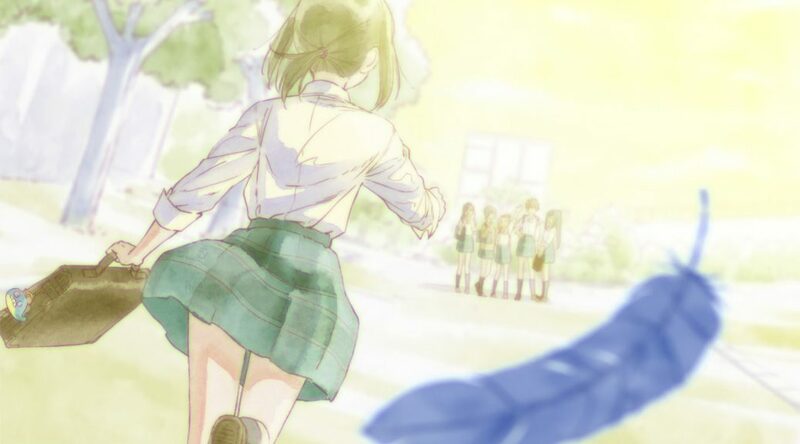 The sweet final scene at the park, with clear shades of Yorimoi, is a very earned end to the real first episode of Hanebado. ─ Allow me to use that final scene to pivot into some very brief production talk. The sequence itself is tremendous, in particular the viscerally satisfying transition from present back to the treasured memories of having fun with badminton as a child. Using Elena’s body as a blocking mechanism for a seamless transition is neat in and of itself, but the actual genius move is perfectly timing that with the musical cue and the sunlight effect: all simple tricks, but the result is extremely rewarding and comes across very cohesively. You’re never taken out of the experience while at the same time nailing a very tangible shift, as if a switch had been flipped. The storyboard by Makoto Iino (who also did all sorts of animation work for the episode, including the highlight sequence) is quite strong, with an emphasis on the position Ayano and Elena occupy. But it’s episode director Masaki Nishikawa whom I really want to shower with praise, since it’s his execution of those concepts that will leave a lasting impression. Not half-bad for a young animator who was acting as director for the very first time… at an entirely new studio too! ─ And that’s the final point I really wanted to address: the major debut of studio ALBACROW. This group of creators was first noticed exactly a year ago, when Yuki Watanabe’s animation for the NEW GAME!! ending was credited to them. They immediately caught attention because of the talent they gathered; from TRIGGER-affiliated stars like director Hiroshi Kobayashi and animation director Kengo Saito to the one and only Geso Ikuo essentially running this crew. Having multiple creators in high demand among their ranks means that the company’s name has kept on appearing here and there, but it’s taken this year of growth to get to the point where they can really produce something of their own – sort of anyway, since the episode was co-authored by well-regarded Chinese artist hotspot CANDYBOX, with whom they’re partnered and share management staffers with. It might take a while until ALBACROW can take the next step and begin handling entire projects, but they’re definitely worth keeping an eye on as a creative crew that’s enlisted some brilliant individuals. ─ One of those exceptional ALBRACROW members is Hisaaki Okui aka Geso Ikuo, a very divisive figure we already addressed when talking about the curious incident that got him fired from Mahoujin Guru Guru at the last second. You can call him outspoken if you appreciate his raw, precise insight on the disastrous state of the anime industry. Others would instead call him a trouble-maker, since someone whose kinder words include saying that none of his coworkers can even count doesn’t inspire the greatest camaraderie. Judgments aside though, what’s clear is that his lack of a mental filter makes him a very useful source of information. Even though he wasn’t even credited for this episode he did attend the business meetings, which means that he’s been endlessly talking about behind the scenes matters like production costs, to the point that Japanese matome blogs have started picking up on it – though they sort of failed to get all the nuance, because he’s endlessly snarky and Japanese fan sites don’t have the greatest grasp of the anime industry either. The most interesting of his comments, and a way to loop back into Hanebado itself, was his cynical gratitude towards the production for having credited all his studio’s staff even though their animation had to be “corrected” in a few instances to bring it closer to the realistic, rotoscope-based matches so far. I got the impression that the staff had wanted to draw something looser this time around, and his snarky comment basically confirmed it. Even in this regard, this episode is an interesting compromise of conflicting mentalities.